Great earrings to wear for a lunch date or evening party. 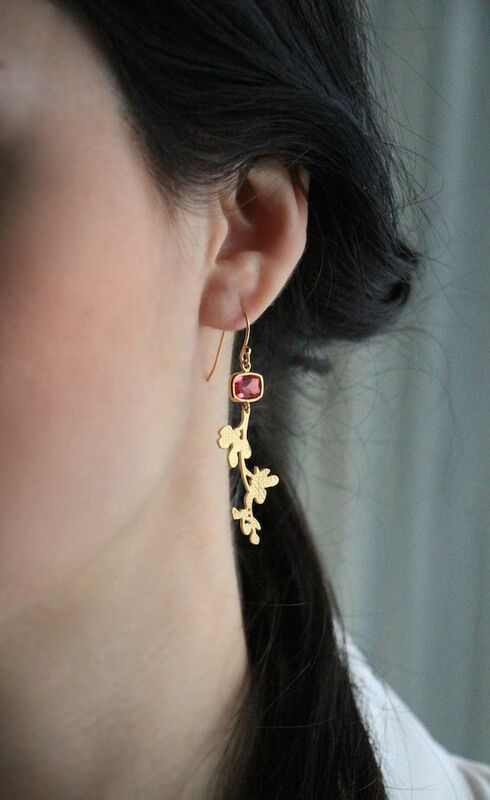 These lovely magnolia handcrafted out of 16k goldplated brass accented with brilliant rose crystal bezel set stud. These hand cut magnolia have a very beautiful textured surface.